The unassuming province of Siquijor has rose to fame in recent years. This largely uncharted region is oozing with pristine beaches and gorgeous diving spots. It is comprised of towns with idyllic coastal charm. 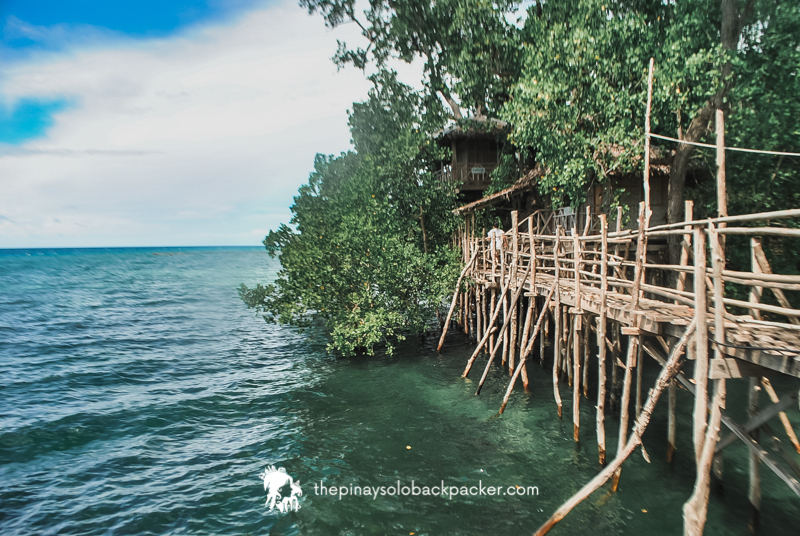 Here’s a travel guide blog to help you plan your trip to the Island of Fire – Siquijor. 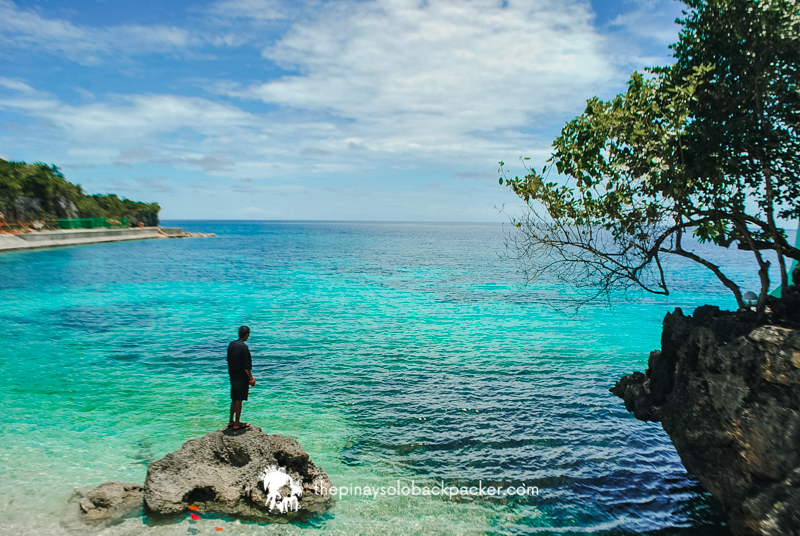 When is the best time to visit Siquijor: The best time to visit Siquijor Island is during the summer season, from March to May. You may also travel to Siquijor from November to February but try to avoid the months of June to October due to the rainy season and possible storms. Best to check the weather updates for your safety. Bring reef-friendly sunscreen and mosquito or insect repellent. Wear aqua shoes when swimming. Mobile signal in Siquijor: Mobile signal is available in Siquijor. Internet in Siquijor: Some resorts and hotels in Siquijor have free Wi-Fi, mobile data is also available but signal is generally intermittent. 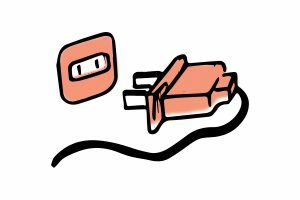 Siquijor Electricity: Electrical socket is type A. 220V and 60 Hz. Mode of payment in Siquijor: Everything is on cash basis. ATM in Siquijor: There are only 3 ATMs in Siquijor, best to stack up cash and withdraw in Dumaguete. Language in Siquijor: Cebuano is widely spoken, but locals know how to speak English. Safety in Siquijor: Siquijor is pretty safe for tourists even for solo female travelers, but as in any place, don’t leave your bags and important things unattended. There have been reports of theft at Cambugahay Falls before. During my visit here once, there were foreign tourists complaining about theft to the local police. 2. Once you arrive in Dumaguete Airport, follow the Dumaguete to Siquijor instructions below. 2. From Dumaguete City airport (Sibulan Airport), you can charter a tricycle to take you to Dumaguete Port. Standard fare is PHP 100 and transit time is roughly 30 minutes. Alternatively, you can walk outside Dumaguete Airport and hail a jeepney to Dumaguete City. Fare is around PHP 10. In Dumaguete City, you can walk or take a tricycle to Dumaguete Port. 3. At Dumaguete Port buy ferry (Roro) or fast craft ticket to Siquijor. Arrive a couple of minutes before your intended departure. There are several ferry and fastcraft from Dumaguete Port to Siquijor starting at 5:45 AM to 7:00 PM and departs roughy every 2 hours. One way ferry fare to Siquijor starts at PHP 120 and travel time is almost 2 hours. A faster alternative is a fastcraft, one way ticket starts at PHP 210 and transit time is roughly 1 hour. 4. Pay the PHP 25 terminal fee in Dumagute Port. 5. Board the ferry or fastcraft to Siquijor. 6. Upon arrival in Siquijor, you can take a habal-habal (motorcycle) or ride a tricycle to your hotel or resort. 1. From Cebu City, go to South Bus Terminal. Taxi and Grab are available in Cebu, and most taxi drivers there use the meter. If you are coming from Cebu Airport in Mactan, you can take a taxi or Grab straight to South Bus Terminal, fare is roughly PHP 350. A cheaper alternative is the MyBus to SM City right outside the Domestic Terminal. Fare is PHP 25. The Mybus leaves every 30 minutes 7:00 AM to 11:00 AM and every 20 minutes from 11:00 AM to 9:30 PM. From SM City Cebu, you can take a taxi or Grab to South Bus Terminal, fare is around PHP 200 +. 2. Once you are in South Bus Terminal, take a Ceres bus to Dumaguete. Fare is PHP 260 + ferry fare for PHP 70. The bus will board the ferry in Bato, Cebu. Total fare is around PHP 330. Travel time is around 4-5 hours. 3. The Ceres bus will stop in Ceres Bus Terminal in Dumaguete. Take a tricycle to Dumaguete Port, fare is PHP 8 per person. 4. At Dumaguete Port, buy ferry of fastcraft ticket to Siquijor. There are several ferry and fastcraft from Dumaguete Port to Siquijor every 2 hours from 5:45 AM to 7:00 PM. One way ferry ticket to Siquijor starts at PHP 120 and travel time is almost 2 hours. Meanwhile, one way ticket for fasctcraft starts at PHP 210 and transit time is roughly 1 hour. 5. Pay the PHP 25 terminal fee at Dumaguete Port. 6. Board the fastcraft or ferry. 7. In Siquijor Port, you can take a tricycle or habal-habal (motorcycle) to your resort or hotel. Fare is around PHP 100 (good for 2 persons). IMPORTANT: Buses from Cebu to Dumaguete are limited, so if you miss this bus, follow Option 2 below. 1. At South Bus Terminal in Cebu City, ride the bus to Liloan in Santander town. Travel time is about 4-5 hours depending on traffic condition. Fare is about PHP 162 / USD 3.22 for ordinary bus and roughy PHP 200 / USD 3.98 for air-conditioned bus. 2. At Liloan Port in Santander, buy your fastcraft ticket to Sibulan (Negros Oriental) for around PHP 50 + PHP 10 Terminal Fee + PHP 2 Municipal Fee = PHP 62. Travel time is less than 25 minutes. 4. At Dumaguete Port there are several ferries bound for Siquijor. Travel time is roughly 1 hour. One way fare for fast craft starts at PHP 210, transit time is about 1 hour. Ferry is slower, about 1.5 hours and one way fare is PHP 120. See the ferry schedule here. 5. Pay the PHP 25 terminal fee. 6. Ride the ferry or fastcraft to Siquijor. 7. Upon arrival in Siquijor, you can take a habal-habal (motorcycle) or ride a tricycle to your hotel or resort. Standard rate is around PHP 100, good for 2 pax. 1. Take a tricycle to Dapitan Pier. 2. At Dapitan Pier there are several ferries bound for Dumaguete City. Travel time is approximately 3 hours. Fare is PHP 350 / USD 6.96. 3. In Dumaguete City Port, look for ferries en route to Siquijor. There is a ferry that leaves from Iligan City to Siquijor. 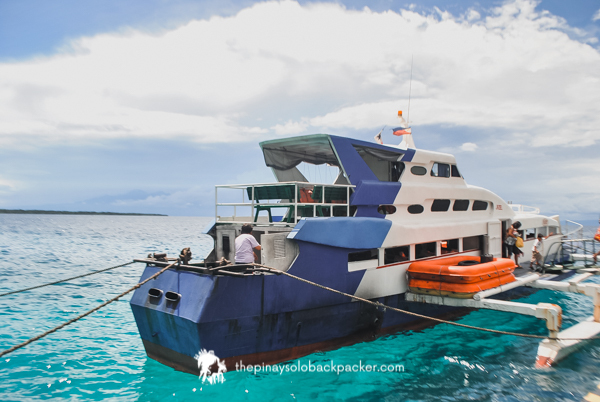 Check the SIQUIJOR FERRY SCHEDULE HERE. The best way to get around by tricycle, but it means you have to charter it. From Siquijor town proper to San Juan (we stayed in San Juan on our first day) we were charged PHP 150 / USD 3 for a special trip. If you are alone and you want to save a few bucks, there are also jeepneys bound for San Juan, fare is roughly PHP 15 / USD 0.30, however, it only leaves once full. You may charter a motorcycle for touring Siquijor. Many foreigners prefer this, as the tourist attractions are far from each other. Standard rate is PHP 300, you need to fuel the motorcycle. Basically, it is full tank when you rent it and you need to fuel upon return. Alternatively, you may hire a tricycle for touring around Siquijor. Rate is PHP 1,000 / USD 20 to PHP 1,200 (good for 3 persons). 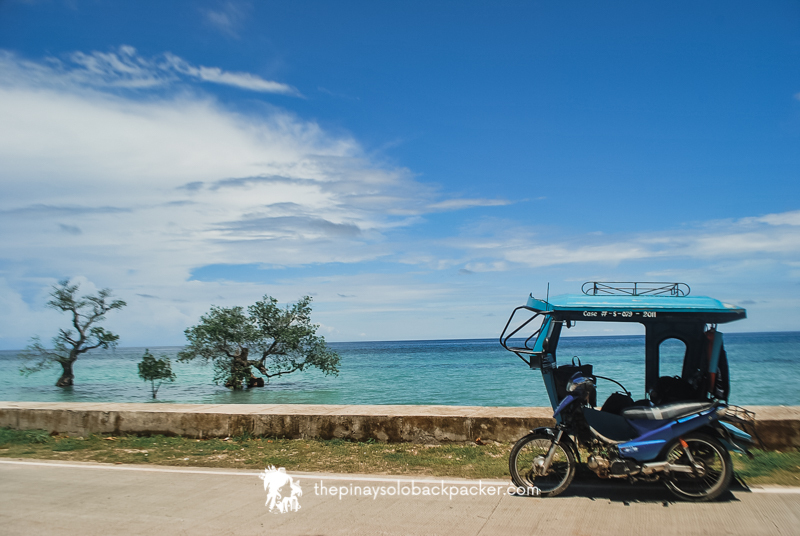 Rate is around PHP 1,000 / USD 20 – PHP 1,500 / USD 30 for tricycle tour around Siquijor. The tricycle drivers usually have a map to show you where they will take you. The standard tricycle tour in Siquijor usually includes a visit to the following attractions: Paliton Beach, Capilay Hot Spring, Balete Tree (fish spa), Hapitanan Cafe and Restaurant (witch broomstick riding photo op), Lazi Church and Convent, Cambugahay Falls (Tarzan swing), Church of Our lady of Divine providence in Sta. Maria, Salagdoong Beach, San Vicente Ferrer Parish Church, Guiwanon Spring Park, Pasalubong Center, St. Francis Asisi Church and Bell Tower and Welcome to Siquijor marker. If you are traveling with a group, you may hire a multi-cab, rate is around PHP 1,800 for a whole day tour, good for 15 persons. There are a couple of tourist attractions in Siquijor, 1-2 days should be enough to cover them. Here’s a list of top attractions in Siquijor that is usually included in the Siquijor tricycle tour or multi-cab tour. 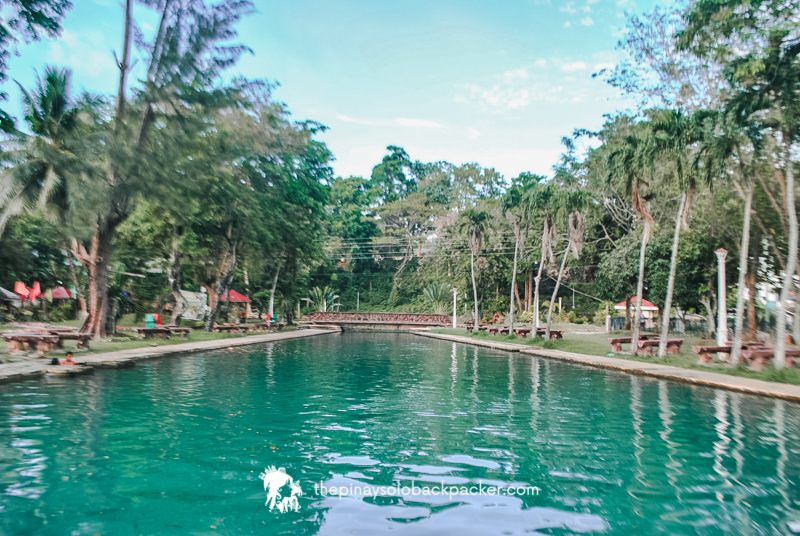 Situated in San Juan town in Siquijor Island, Capilay Hot Spring is like a public pool where locals usually swim and hang out. It has beautiful, deep green water. This gigantic, age old Balete Tree is a fave tourist spot for fish spa. You will also find locals doing their laundry here the traditional way. This restaurant rose to fame because of it witch broomstick for photo op. Tourists usually drop by here to ride the famed broomstick. 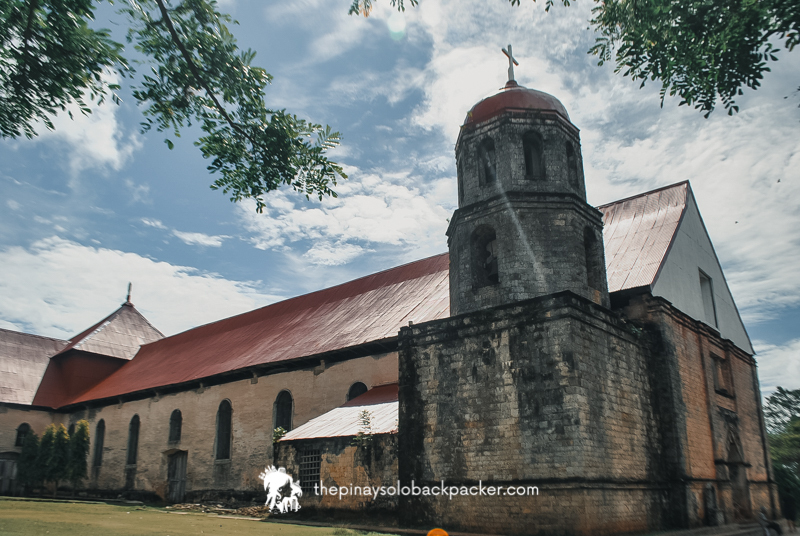 The 18th century San Isidro Labrador Church, known as Lazi Church, is one of the most fam0us tourist spots in Siquijor. It is a National Historic Shrine. Fronting the Lazi Church is the massive, ancient Lazi Convent declared as a National Historic Shrine. It is dubbed as the biggest convent in the country. 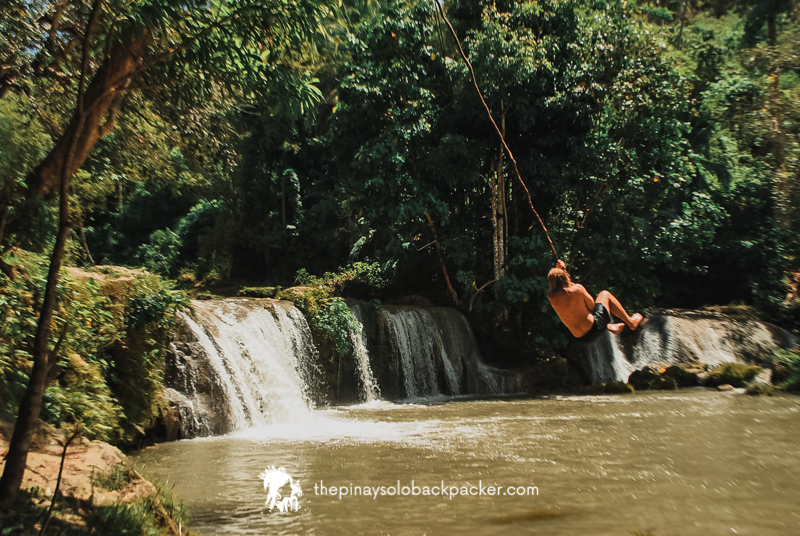 Cambugahay Falls in Siquijor is known for its emerald-green water and a famous spot for Tarzan swing. The eerie looking Our Lady of Divine Providence in Sta. Maria town, is another usual stop for the tricycle tour in Siquijor. The image of this sad-looking, female saint is wearing black. This beach is known for its turquoise water and cliff jumping. There are also cottages and accommodations here. This church is located in Siquijor poblacion and probably the first tourist spot that you’ll see in town together with its bell tower. Nearby, you’ll see a Siquijor Marker, a popular photo op spot for tourists. Another stop of the Siquijor tricycle tour is the Guiwanon Spring Park fringed by mangrove forest. This jungle-fringed mountain is littered with fan palm and trees. There’s a tower here where you can climb and witness the view of the Siquijor island below. Siquijor is known as the land of faith healing. The province celebrates Faith Healing Festival during the Holy Week (Black Saturday) when faith healers cook their concoctions. Tourists can even buy love potion in Siquijor. If you want to witness a traditional healing in Siquijor,you can rent a tricycle and take you to one of the villages there. One popular traditional healing is called bolo-bolo where an old woman chants a a prayer and blows the water with a black stone through a stick until it become murky. Paliton Beach : A serene palm-fringed beach with powdery sand. Kagusuan Beach: Another famous beach in Siquijor known for its rock formations. Cantabon Cave: Spelunking tour fee is PHP 500, good for 3 persons. This rate includes helmet rental, flash light and guide fee. 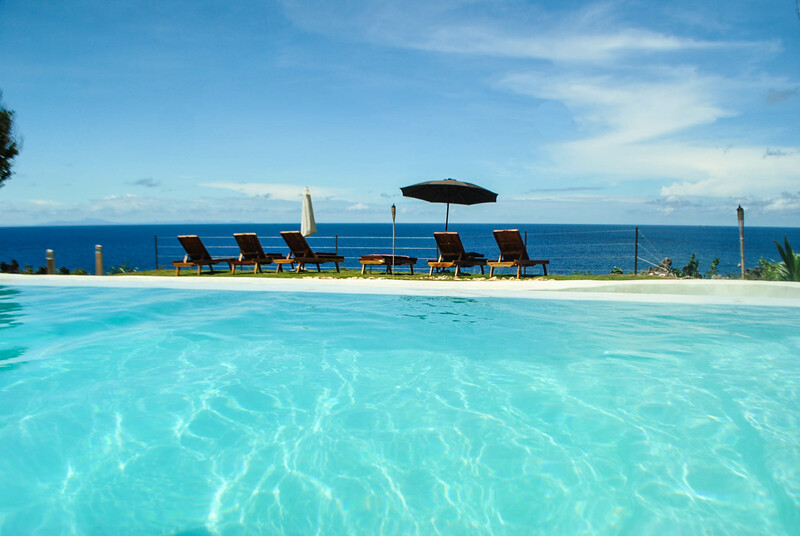 There’s a wealth of resorts and hotels in Siquijor for all types of budget. Best to book ahead in advance especially if you are visiting on a holiday, weekend and summer months. 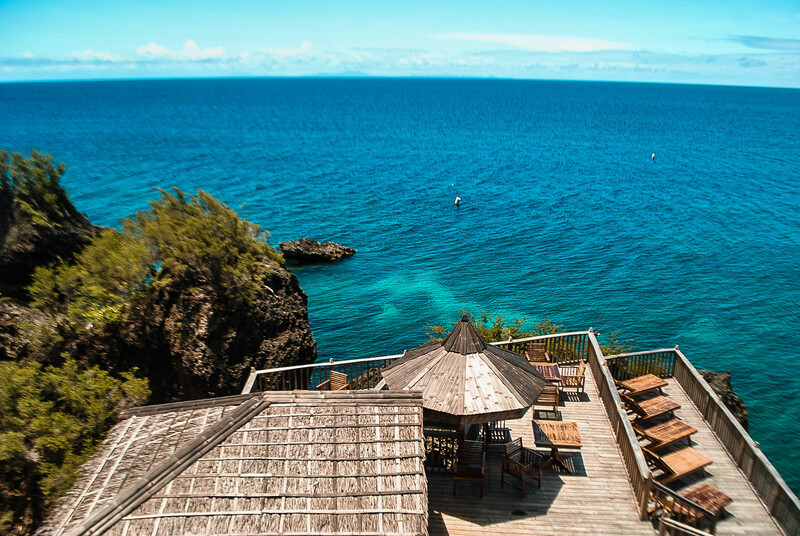 Here’s a list of top-rated accommodations in Siquijor. This sample Siquijor Itinerary is good for a solo traveler, could be cheaper if you have travel buddies. Feel free to adjust this depending on your travel schedule and budget. 10:10 AM Estimated arrival in Dumaguete. craft ticket to Siquijor in advance). 11:15 AM Start of Tour in Dumaguete (walking tour): Dumaguete Cathedral, Belfry Tower, Siliman University + Rizal Boulevard. 03:30 PM Check in at resort/hotel. Rest or swimming. Paliton Beach, Capilay Hot Spring, Balete Tree (fish spa), Hapitanan Cafe and Resturant (witch broomstick riding photo op), Lazi Church and Convent, Cambugahay Falls (Tarzan swing). There are theft reports here filed by foreign tourists so make sure you watch your important stuff. Church of Our lady of Divine providence in Sta. Maria, Salagdoong Beach, San Vicente Ferrer Parish Church, Guiwanon Spring Park, Pasalubong Center, St. Francis Asisi Church and Bell Tower and Welcome to Siquijor marker. Here’s a sample Siquijor trip budget if you follow the sample itinerary above, minus the expenses in Dumaguete. If your are a party of 2, estimated budget is PHP 2,727 per person if you follow the above itinerary. The fare in Dumaguete and tour is not included. I thought may ferry from Cebu to Siquijor, hehe. Meron po. Cokaliong Shipping Lines. meron cebu to siquijor, but not in siquijor port ata. i remembered it was to a port in larena, siquijor. Lilo-an, Santander, Cebu to Larena, Siquijor every 10:00 A.M.
Larena, Siquijor to Lilo-an, Santander, Cebu every 5:00 P.M. Thank u for your posts about Siquijor, I was able to see it upfront! Truly a gem at the heart of Visayas.. I’d be happier to know if a lot of people will travel to Siquijor soon..
Good Day. what is the resort on second picture? Thanks! more power! I’ll be dumaguete November 27-30 4days and 3nights thank you information diy solo backpacker here. Do you know the best way to get back to Cebu City from Siquijor island? I’m on a bicycle tour so I can travel overland on my own. I wonder if the ferry to Oslob is still working but I couldn’t find any. Thanks for your help. can we pitch a tent and stay there overnight at salagdoong beach or in cambugahay falls? we are not usually stay in a hotel..we prefer to stay in a community or in the wild.. Cool. I wanted to be in siquijor. First, thank you for this informative blog. I find this useful! This weekend. I am planning going to Siquijor. I hope to have the same experience as you did. Last, keep us posted in your next escapade! Is Lorna’s End of the World the hotel where you took the photos from? Checking where I can stay this March. Not sure too which town I should stay for the night. Any tips? Correction though. Liloan is in North-Eastern Cebu. You can get there via (a) SM City Cebu or Parkmall’s V-Hire terminal, (b) jeeps plying Highway Mandaue, or (c) mini buses at the North Bus terminal along M Logarta Avenue, near SM Hypermart (previously Makro) and the Aboitiz Football Field. hi. we will be having our summer visit in dumaguete and have planned to cross siquijor for a day tour. point of origin from dumaguete heading to siquijor. to which beach resort(SALAGDOONG BEACH AND PALITON BEACH) is much closer to dumaguete so that we will not be having hard time going back to dumaguete. thanks. Thanks for the valuable info about ferry trips and the place to stay. I would gladly check Lorna’s End of the World resort. I’ll post a comment after my trip to Siquijor tomorrow. hi, do you have a number of Backpackers Dorm? Pa advice nman po kc first time namin punta ng siquijor, ang dating po namin dyan ay 3pm, may afternoon trip po ba to siquijor. do u know po the schedule of ferries going to siquijor from dumaguete back and forth? This is such a great help! I wonder if you have a contact on the tricycle driver? I will be travelling with my girlfriend and we are on a tight budget. Thinking to ask for a lesser rate, if that’s possible 🙂 And, do you know what’s the last trip from Siquijor back to Duma? Hi, this is helpful. 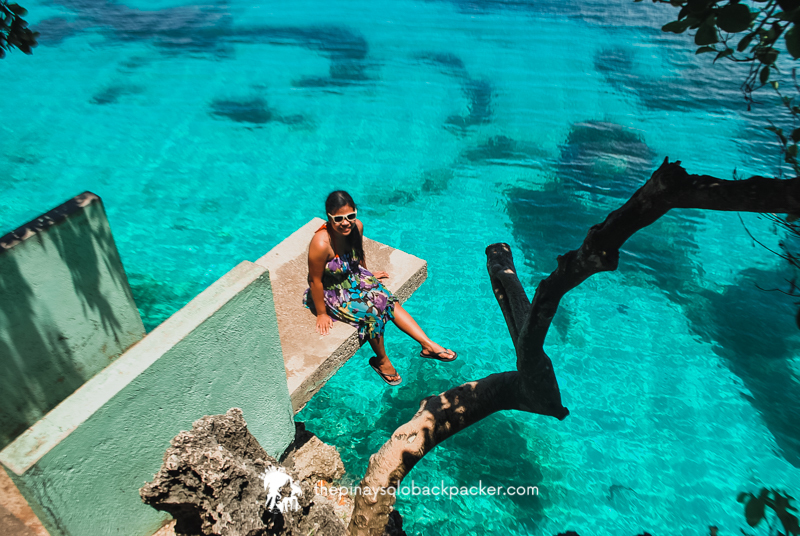 Can you give an estimate of your expenses during your Siquijor trip? 🙂 thank you! Wow Siquijor looks so beautiful. I really like the beaches and old churches. I’m planning to have a trip to Bohol – Siqujor this year too!. Salamat kaayo. Many thanks! Visiting wonderful Dumaguete and Siqiujor this May. hi, na-curious tuloy ako sa siquijor, i like to visit places na di pa gaano pinupuntahan ng tao or least commercialized p such as batanes and now mukhang mapapasama na to sa list ko. And dahil sa reputation niya mukhang may thrill pumunta dito. tanong ko lng po, ung 1K sa tricycle tour minimum of three person po un? So if mag-isa ako, 3K babayaran ko? Regarding the tricycle tour, 1000 is already good for 3? Thank you ? Hi, I am planning on going there this year. May I ask what resort did you stay at? Hey u forgot how to get there in siquijor from plaredil. hi! is it safe to do this alone? 🙂 any tips from one pinay solo traveler to another? thanks! hi, great review. 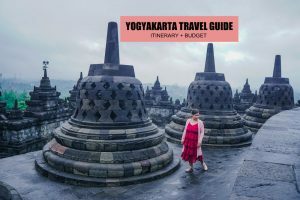 how much is a car and and tuktuk from Dumaguete airport to the piers? thank you. Hello! May byahe ba from Cebu to Siquijor? Or the only way to get there from cebu is to travel to dumaguete? Thanks! Hello, Can you please refer a budget friendly inn near santander liloan port? Thanks. Hi Jayson, not sure about that. Most resorts in the area are kinda hefty. But you make ask around, otherwise, stay in Oslob, it’s near Santander naman. Is it ok nga on d spot ang pa book ug resort? Or dapat magpa reserve first? Hi! Is the ferry schedule updated? I heard that there are only 2 ferry companies going to siquijor. Is this true? Thanks. Hi how much is your hotel? Hello! 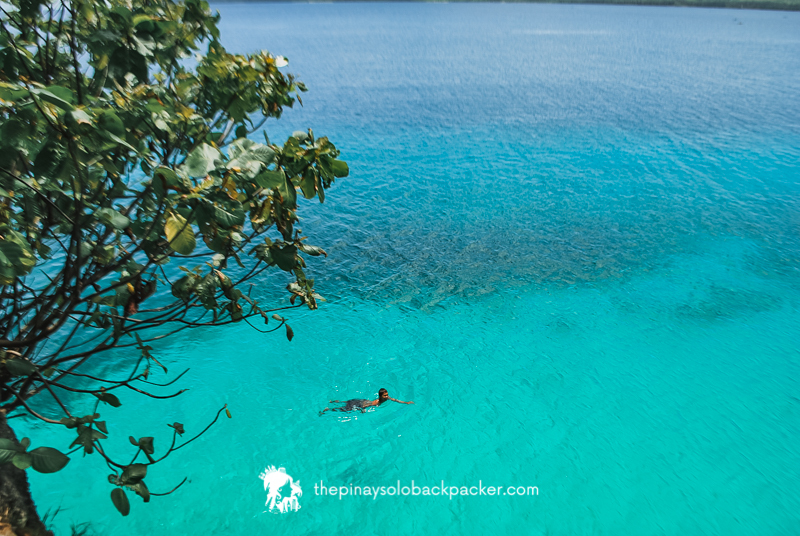 Where did you check-in in Siquijor? I would like to ask if in their public beach we can use a tent in their public beach? Not sure about in Salagdoong, but there are other public beaches in Siquijor where that’s probably allowed. Hi! Just wondering if july is a good time to go to siquijor? Is it typhoon season during this time? 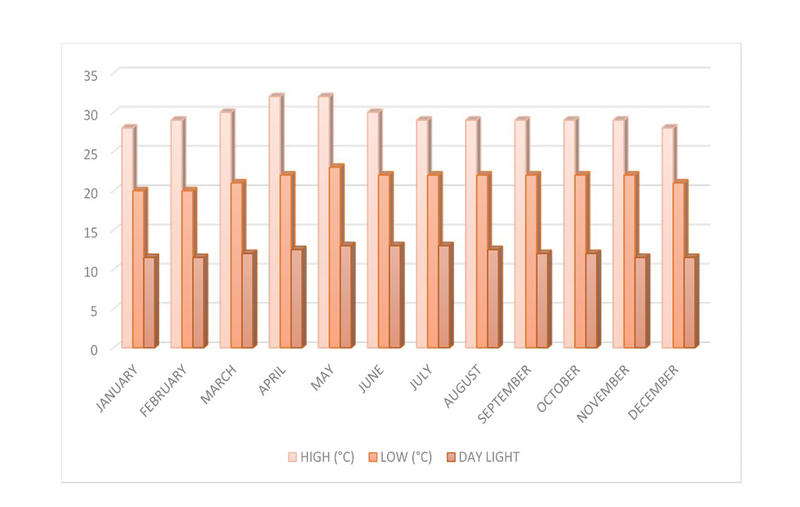 Summer is the best time (March to May). Yes, rainy season is around this time until October. How much does the tricycle tour for the entire day cost? May i ask where’s the best place to stay in Siquijor if we would like to travel fast to Salamoodong beach and Cambugahay Falls? Would it be Siquijor or San Juan? Thanks! Will be checking Siquijor by may. 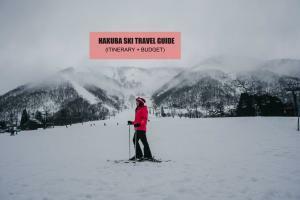 This guide will really help. Thank you. Is there a ferry, cebu to siquijor? or cebu to larena, siquijor?